Enormous thanks go to Sergeant Johnson Beharry VC who kindly gave up his time this afternoon to speak to pupils in Years 3, 4 and 5. He shared his life story and encouraged pupils to make the right decisions and to do the right thing. His inspirational talk was followed by many questions from pupils across the school. The children were fascinated to learn about the metal in his head, his role in the army and the work he does to guide young people to make wise choices. 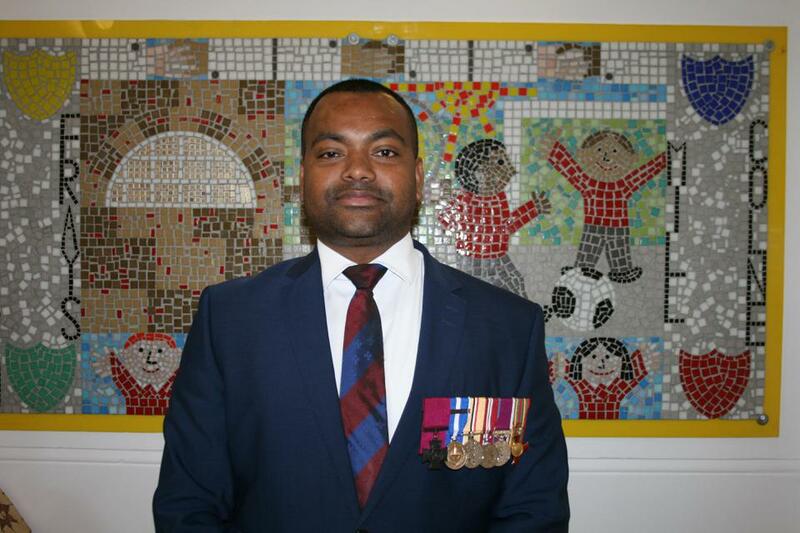 Our families were delighted to have the opportunity to meet Sergeant Beharry VC on the playground at the end of school, with many being familiar with his remarkable story. Whilst Sergeant Beharry VC was all about presenting the right impression of yourself, Year 6 certainly did just this at lunchtime today. They served a delicious, freshly-cooked meal to their secondary school teachers in the Studio. Thanks to all pupils and staff involved in making this a memorable occasion.